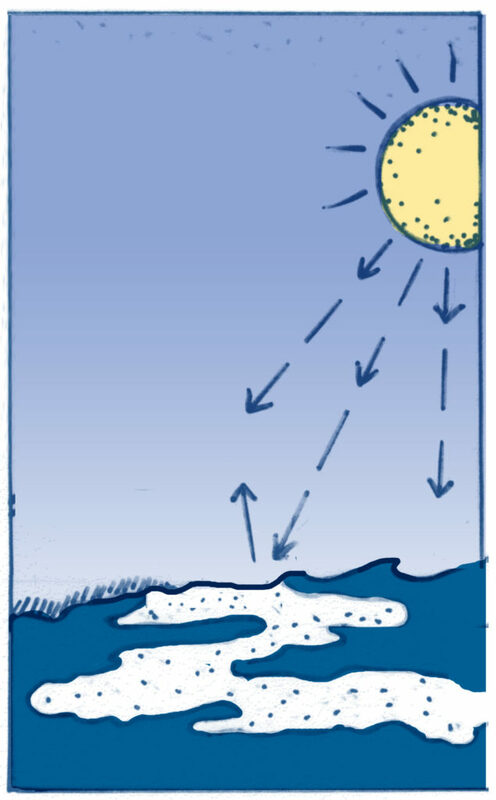 Microbubbles or sea foam are Solar Radiation Management technologies that that aim to reflect more sunlight back into space by making ocean and other water bodies’ surfaces more reflective (i.e., increasing their albedo). This could be achieved by creating tiny microbubbles in surface waters, or by spreading chemical foaming agents, kept buoyant by latex or other materials, across the surface of the Earth’s seas and other large bodies of water. Beyond disrupting the flux of light for ocean life, foams may reduce oxygen to the upper layers of the ocean, negatively affecting biodiversity. Microbubble technology proposes to reflect sunlight into space by adding bubble-forming chemicals to seawater. Russell Seitz, a geoengineering physicist at Harvard, has gained attention1 for his “bright water” albedo proposals2 that aim to cool the planet by pumping tiny microbubbles into the oceans to thicken natural sea forms and increase ocean surface reflectivity. Seitz is pushing ahead with a microbubbles business start-up and research on this technique has focused more on the mechanical aspects (e.g. how to make the bubbles last a long time, whether to add latex or polystyrene, how they will be generated) than the biological or systemic implications of the technology. Deploying microbubbles or sea foam at the scale required to impact the climate could disrupt the entire basis of ocean and freshwater life, which is dependent on access to light, from phytoplankton to dolphins.4 The microbubbles approach would also reduce oxygen in the upper layers of the ocean, where most fish and other species live. The effects of bubble clouds on oceanic life, both in terms of temperature and sunlight changes, are unknown. Ocean currents are complex, and the impacts on geoengineering are poorly understood (NOAA). Reflecting sunlight into space on a mass scale could disrupt global weather patterns and create geographic winners and losers, opening the door to weaponization and the use of microbubbles and similar technologies as an implement of force in geopolitics. 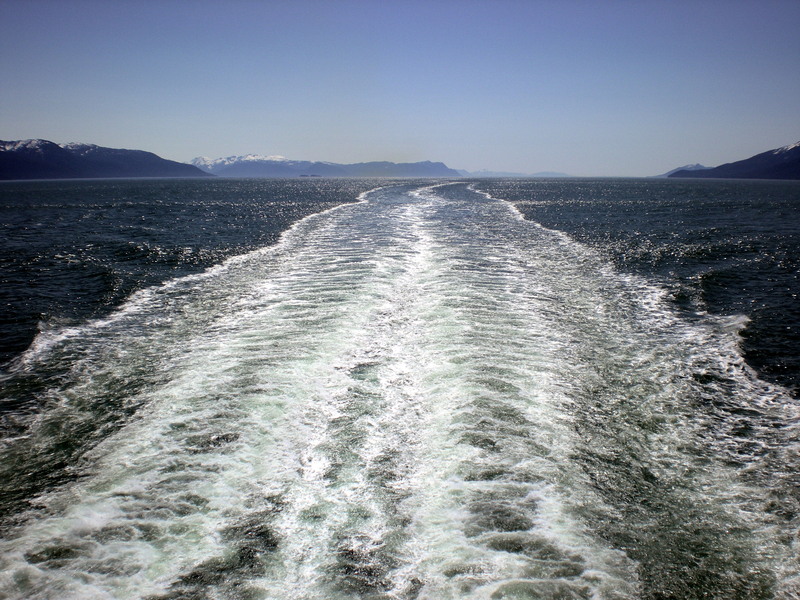 The ship wake brightening theory described above brings its own potential impacts, as large volumes of unnamed “surfactants” would be added to the oceans in the process. Although the researchers do point out that the surfactants would need to be ecologically benign, and natural surfactants can be derived from phytoplankton and marine processes, these chemicals can also be highly toxic. The BP oil disaster in the Gulf of Mexico in 2011 is an example: the oil dispersant BP used was a mixture of two surfactants, which they claimed were safe, and the US Environmental Protection Agency didn’t require any safety testing prior to use. A record 1.8 million gallons were used to disperse the oil, and it potentially killed more sea life than the oil would have destroyed by itself.7 This illustrates what “technofixes” of this kind could mean in practice, especially if put in the hands of irresponsible companies, or unscrupulous government agencies. Another issue unique to the ship wake approach is that there are far more shipping movements in the Northern Hemisphere than the Southern, resulting in a very uneven distribution of microbubbles. This imbalance would need to be addressed, perhaps through even more ships burning diesel in the southern oceans? Research into this technique has so far been limited to lab experiments and modelling.